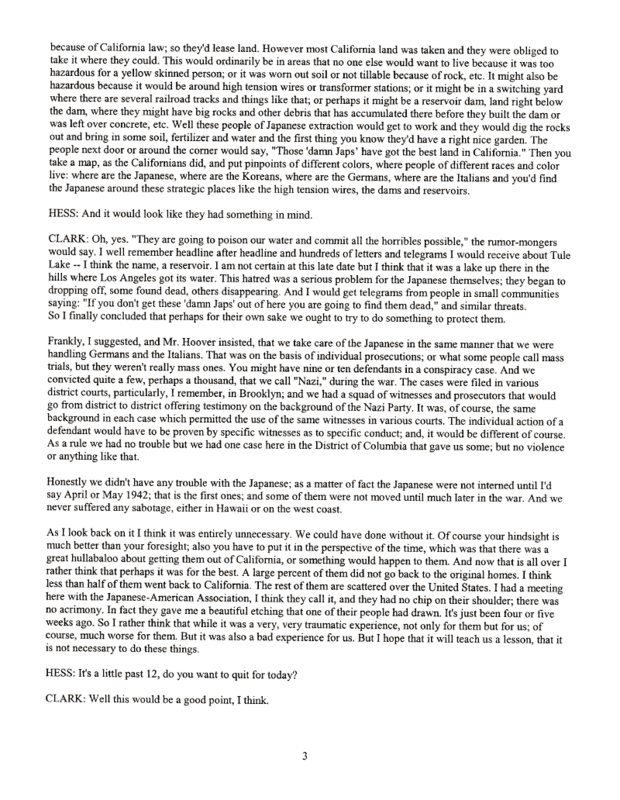 Document Notes: Interviewed by Jerry N. Hess for the Truman Library, Justice Clark gives his recollections of the conditions on the West Coast and of the evacuation. He was involved in the legal aspects of the event and had no knowledge of the available intelligence. The last paragraph gives his understanding of the Japanese American position to the evacuation in 1972, before the redress movement got under way.